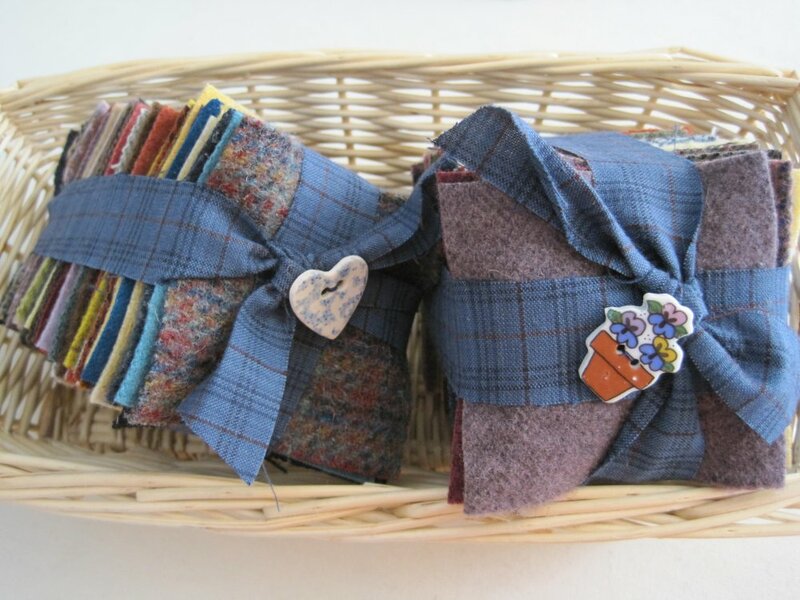 These bundles are made up from mill dyed and hand dyed wool. Included are neutrals,solids and textures. 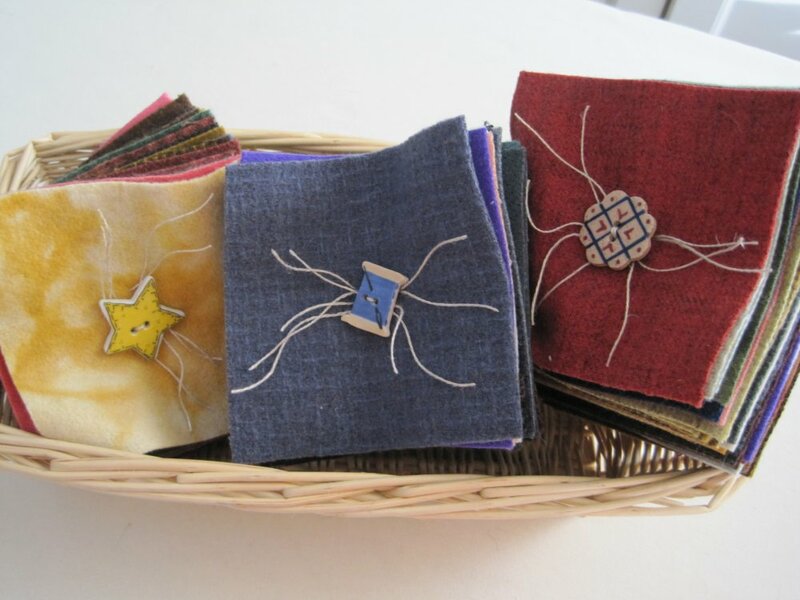 They are great to have for appliqué or when you just need a small piece of wool in a particular color. 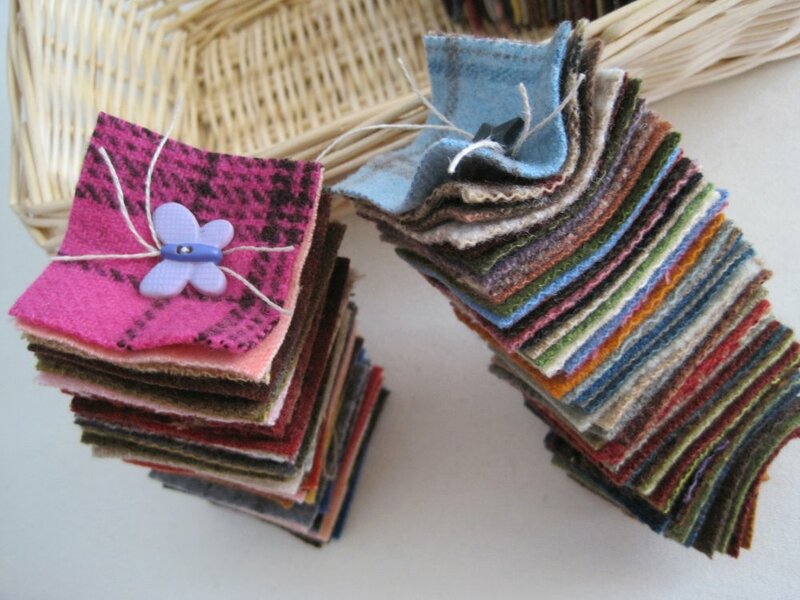 Every square in the bundle is a different wool.Enjoy collecting! Lamb Chops 50 - 2" x 2"